Equipment in the phosphate industry must endure extremely severe conditions. Equipment that can meet these conditions is not often found off-the-shelf. 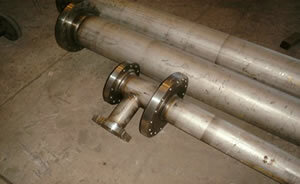 Equipment must be simple, durable, and easy to maintain, while delivering superior process performance. 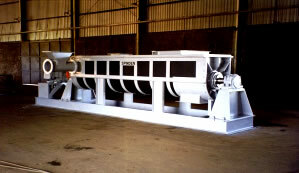 The SPINDEN™ has been used in several MCP/DCP Animal Feed plant to increase plant capacity by reducing the recycle ratio. 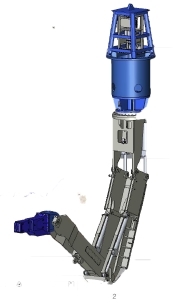 Low Recycle ratio – from 5:1 to 12:1 with a pug mill, compared to 3:1 to 4:1 for the SPINDEN. Reduced maintenance and power consumption. 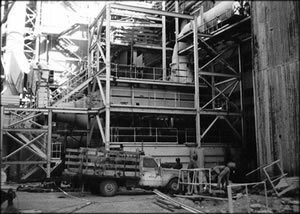 Sulfuric acid and recycle phosphoric acid from the filter must be mixed before added to the reactor. The KEMWorks Mixing Tee does this in a simple but rugged piece of equipment. The mixing tee has a very long life compared with alloy mixing tees and by correct positioning can increase reactor P2O5 efficiency. 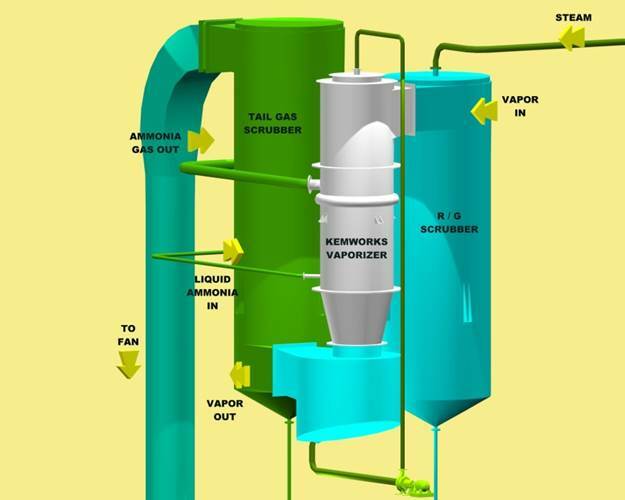 The increased energy supplied by vapor ammonia evaporates more water from the system so the dryer duty can be reduced and/or the plant can be fed with a lower acid concentration. The heat recovered at the vaporizer is approximately 0.25 MJ / tonne. Taking this duty as steam or natural gas savings translates into approximately $1.50 to $1.80 per tonne, a significant incentive and results in a payback in the order of six months. Another benefit of adding an ammonia vaporizer in this location is a reduction of emissions. This is due to the scrubbing action of the relatively clean condensate that is recirculated through the plate exchanger to help keep it clean. A 200,000 m3/h cross-flow scrubber at JR Simplot. Has high scrubbing efficiency, but at the same time resists plugging and is easy to clean. 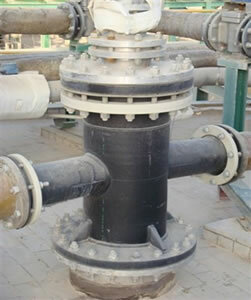 The ATM-4 is used to clean phosphoric acid plant reactors safely and in a fraction of the time of other methods. It is used by most of the US phosphoric acid producers. The CCM provides a safe way and reliable to clean the chute between the granulator and dryer in a fertilizer plant.